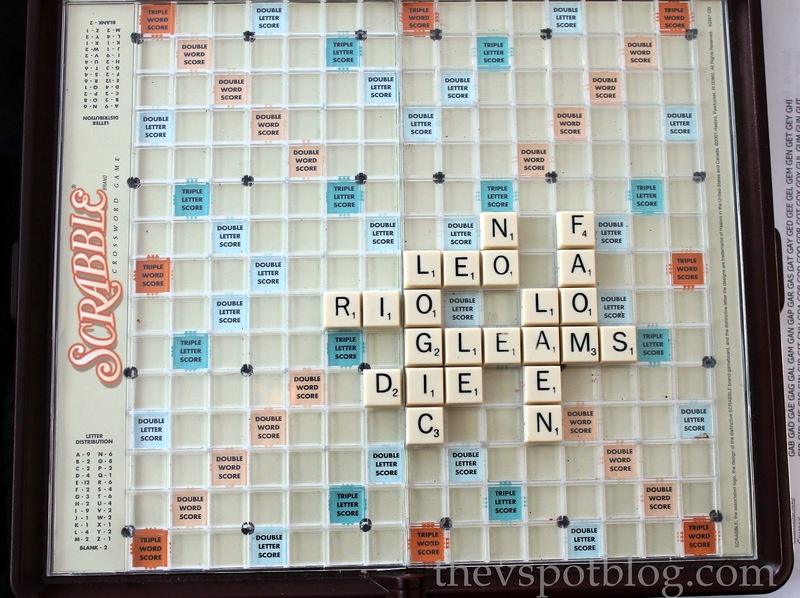 Scrabble… using the Urban Dictionary? I think not. Grant enjoys playing Scrabble. He and my mom play all the time and a few weeks ago he was playing with his brothers while we were camping. Grant played a game with himself. I am pretty impressed. I figure that LAEN must be some kind of a dinosaur. You should try playing speed scrabble. Get a group of people 3+ and all the letters from a couple of scrabble games (go to your thrift store). Put all the letters in the middle face down. Everyone grabs 7 and tries to use all their letters on their own scrabble in front of them (don’t need the board). Once someone uses all their letters they say “done” and everyone has to take 4 more letters from the pile. You can rearrange the words in front of you anytime to try and use all your letters. Keep going until all the letters are gone and someone has used all their letters in creating words. Its really fun, especially for large groups of people and if you aren’t that good at creating words (like me) no one else knows because each person is playing only their letters in front of them. Give it a try sometime. Lol! And well if it is written on bathroom walls it has to be true right? Love that picture morphing thing- how did you do that?? I’m telling you, that kid is a prince among kids. I HATE scrabble – – – – probably because I’m spelling challenged. 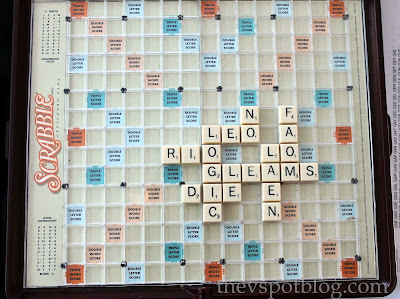 If only there was spell check on a scrabble board. I love the Grant stories…they always make my day. That is hilarious. This sounds like a scene from my home. When my mother in law comes to visit, the Scrabble game comes out and my kids play for hours. The made up words that one certain child tries to pass off are hilarious. Good story! ahhh I’m so proud of your animated gif file, ViV! p.s. grant cracks me up.